Olav lives the lonely life of a fixer. When you ‘fix’ people for a living - terminally - it’s hard to get close to anyone. Now he’s finally met the woman of his dreams. But there are two problems. She’s his boss’ wife. And Olav’s just been hired to kill her. 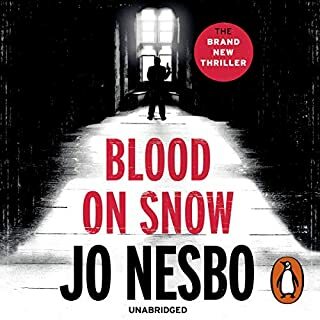 From the best-selling author of BAFTA-nominated Headhunters comes Jo Nesbo’s Blood on Snow. "I saw the strangest sight tonight." New Bohemia. America. A storm. A black man finds a white baby abandoned in the night. He gathers her up - light as a star - and decides to take her home. London. England. After the financial crash. Leo Kaiser knows how to make money, but he doesn't know how to manage the jealousy he feels towards his best friend and his wife. Is his newborn baby even his? How long can you pretend to be mad without going mad? Two English pilots are forced to find out when they are shot down behind enemy lines in 1944. The area is swarming with German troops, so, unable to escape, they ditch their clothing and personal belongings, pose as German soldiers, and board a train carrying wounded SS men home from the eastern front. Quand un policier d'Oslo est assassiné à la date anniversaire et sur les lieux d'un crime non élucidé, cela n'est certainement pas un hasard. Et lorsque deux autres policiers qui ont participé à des enquêtes infructueuses sont tués à leur tour, c'est une évidence : un meurtrier brutal aux méthodes bestiales rôde dans les rues de la capitale norvégienne. La police ne dispose d'aucun indice et, pire encore, elle déplore l'absence de son meilleur limier. The police urgently need Harry Hole. A killer is stalking Oslo’s streets. Police officers are being slain at the scenes of crimes they once investigated, but failed to solve. The murders are brutal, the media reaction hysterical. But this time, Harry can’t help anyone. For years, detective Harry Hole has been at the centre of every major criminal investigation in Oslo. His dedication to his job and his brilliant insights have saved the lives of countless people. But now, with those he loves most facing terrible danger, Harry can’t protect anyone. Least of all himself. 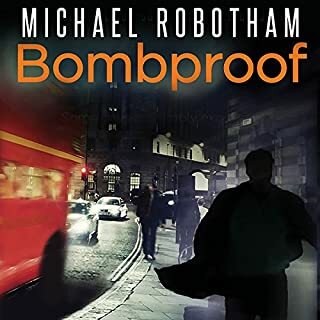 It's very difficult to say very much about Police without giving away spoilers and I don't want to do that because in this case, it really would spoil the book for those who have not listened yet. I will say it goes down as one of my favourites in the series. 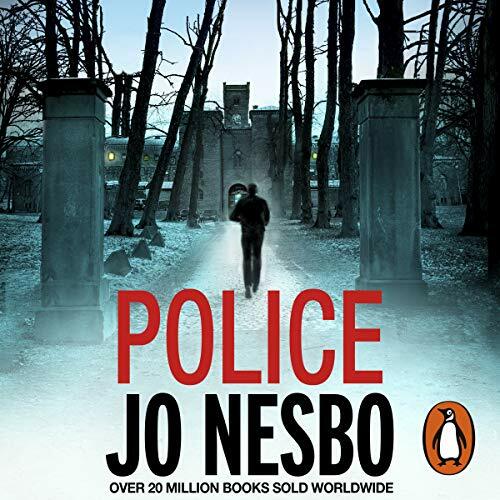 Jo Nesbo has delivered yet another gruesome but addictive not put downable tale of murder and mayhem in Norway. Have you listened to any of Sean Barrett’s other performances? How does this one compare? Sean Barrett does his usual outstanding best in Police. For me, Sean Barrett IS Harry. Nobody else will do. If you have enjoyed the life and times of Harry as much as I have, you will not want to miss this book. If you could sum up Police in three words, what would they be? What does Sean Barrett bring to the story that you wouldn’t experience if you had only read the book? He can be relied on not to led the listener down with errors in tone or pronunciation. The way his voice changes tone appropriately conveys so much about the plot and characters. Both but I don't want to say which made me laugh or cry or I'd give too much away. Jo Nesbo and Harry Hole at their best. You need a strong stomach! Well written characterisation. Many twists and turns - impossible to tell when and what the next scary experience is going to be. I actually jumped chapters when i just couldn't take any more horrors - especially late at night. Still good and had to finish the book. No but he's good varying from creepy to warm perfectly. Yes - gripping yes but also a lot of Norwegian names to get your head around - the women's names were easier. It is going to be a long tome until I can get the 'eyeballs' and fridge episode out of my mind! Without any spoilers it's hard to say too much! Barrett is as amazing as always and there is edge-of-seat tension as always. I'm getting a bit bored of the 'Oh my God it's him/her....oh no it's not it's him/her.....oh no it's....' style that Nesbo uses. 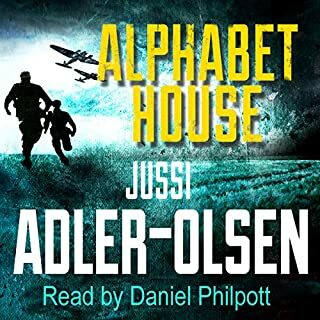 It's a good technique but he's starting to over-play it, it feels too contrived and as a listener I feel that some bits are deliberately kept back in order to build suspense, which of course they are, but Nesbo's skill is not letting you reslise that! Valentine. Reminded me of Joker in Dark Knight, cunning and patient. Not really possible. So many plot twists that it makes for fun reading in bite sized parts. I have to assume there will be a follow up to this, as technically the case isn't anywhere near solved at the end. Which is disappointing. Marvellous ...made even more marvellous by Sean Barrett...welcome back Harry...seventeen hours of unadulterated bliss which passed too quickly! Would you listen to Police again? Why? 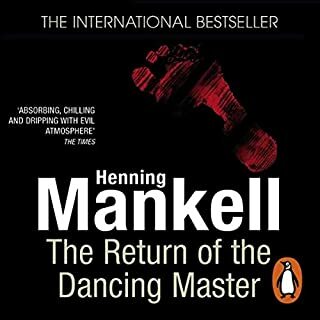 Brilliant book - was sad when it finished, as with all the other Jo Nesbo Harry H thrillers. Beautifully narrated as well! What was one of the most memorable moments of Police? Spoilers (even though I try to avoid) - there are several but the one where the police academy teacher is introduced, and how the story unfolds, very literally, towards the end. Amazing, inter-woven, writing. Which character – as performed by Sean Barrett – was your favourite? Literally all. Whilst not "trying too hard" you could still distinguish the characters from Mr. Barrett's very nuanced reading, even female voices. Perfection. 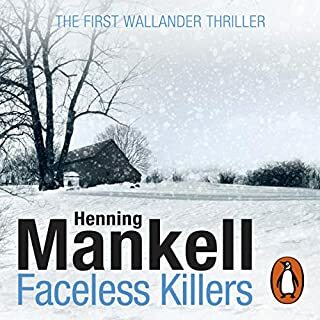 I thought this would be a prequel, as in the last Harry Hole he was killed off, but it said on the cover - he's back - so I'm not giving anything away. Throughout the book this uncertainty continues. People get knocked off but will it be who you think, and by the person you thought? The author keeps it up right to the end. This is my first Jo Nesbo book about Harry Hole and I should have started on No. 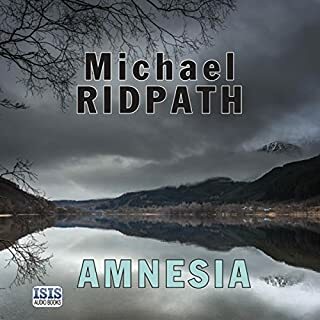 1 instead of 6, but it was good, the hero was not a marvellous person which made him more believable, it was very good listening, and quite frightening in places. Its not The Killing but it is good. 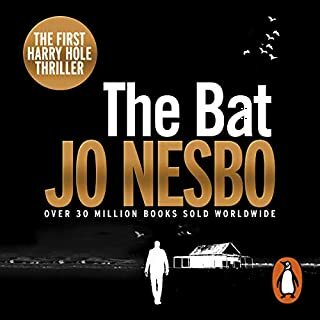 The end of the Harry Hole series? What a way to go out! Jo Nesbø wraps up many things and, of course, leaves some things intriguingly unwrapped. The story is wonderfully complex, and filled with old and new characters. This is definitely a driveway book (one where you stop in your driveway and keep listening until you find an acceptable place to pause the book and go inside). Jo Nesbo, Don Bartlett, and Sean Barett have again united to keep me glued to my Audbile iPhone! Loved the performance. The caracters are always alive and the performans of the reader is true. 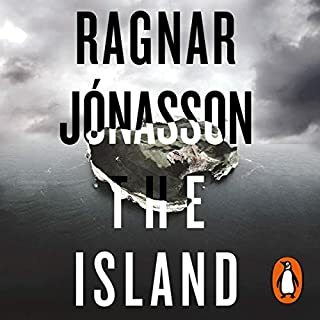 I admit to taking a long time to get to this final installment, and this despite my strong desire to see how Nesbo would be able to tie up the loose ends here. Now, I wish I had just picked it up and listened to it the next day. It is the best book in the series, in my opinion. Unfortunately, to get the best out of it, you need to have read the previous installments, although it could theoretically stand by itself. There is very little more I can write without exposing the plot, although not the resolution of the Police murders that are the main focus of the book. 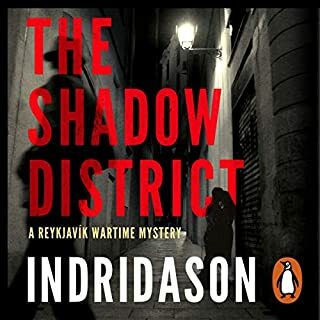 That is deftly done and, again, in Nesbo's unique way, I guessed and dismissed the solution in a manner that I can just imagine being the day-to-day risk of any police investigation. Terrific. Barrett was good again, as he should be after all the practice he's had! I highly recommend this series. The few not as good one's are far outweighed by the very good one's and worth the effort that has plainly lead to such a neat and complete end to all things Harry. 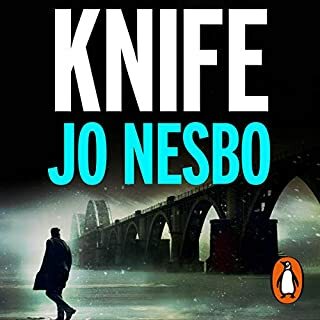 Jo Nesbo and Harry Hole do it again!!! Action pact, suspenseful, clever and deep. Intelligent story telling at its best. Fantastic book , great series. Everything about this book is perfect. Well plotted. Enthralling . 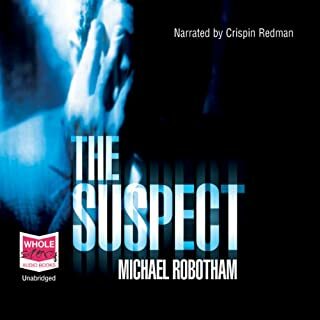 Where does Police rank among all the audiobooks you’ve listened to so far? any scene where you just cannot say, or be sure he is being described as a victim/perpetrator. You know you MIGHT be deliberately lead on but you also cannot be sure that it is what it seems. I held my breath and waited for the other shoe to drop. I'm a Jo Nesbo fan. What made the experience of listening to Police the most enjoyable? Sean Barrett, as always, gives an amazing performance. He really brings the characters to life. Always on the edge of your seat with Harry. So many twists and turns but you always feel like you are part of the story and able to solve the crime. Which character – as performed by Sean Barrett – was your favorite? Harry is my favourite and I always feel sad when I reach the end of a book. I have to wait now for Jo Nesbo to write the next story!!! So glad I found Audible and the amazing stories that come to life as I listen. What?! Nesbo needs a holiday. 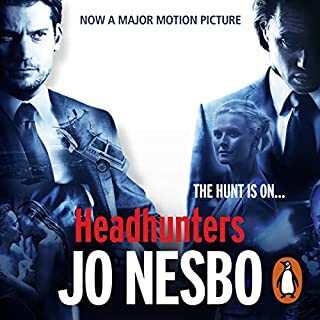 Yes, No, Yes?, impossible to waist time with Mr Jo, but this is not Nesbo at his best. Good, but not good enough for one of my favourite characters. I have to confess, that I am a total Sean Barrett fan boy. The best part of this book is the dulcet tones of Barrett. I defy anyone not to be mesmerised by his delivery. One of the few readers that draws and captures my attention throughout. I am sure that Sean Barrett can read the yellow pages and I will be on the edge of my seat. To be honest, he might just have almost done that in narrating this book. No. Why spoil a good book by cheapening it into a movie. Film retards the imagination. More meat between the ears, than between the eyes. Open letter to Mr. Nesbo. Take some time off, tell your publisher to lay off you. Take your time, drink some whiskey, play in your band, ski along a Fjord. Get yourself back to peak and then blow our pip with the next Harry episode. We love you and your work, and this was not your best effort. 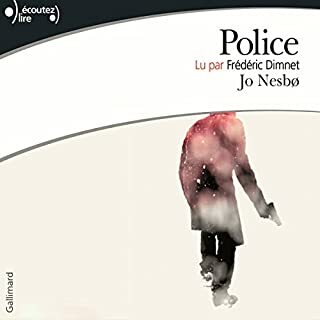 Would you consider the audio edition of Police to be better than the print version? Sorry. I am only able to listen now so I can't comment in detail. However, any person who loves the written word as much as I did, would probably find the experience of being able to listen only, wanting. 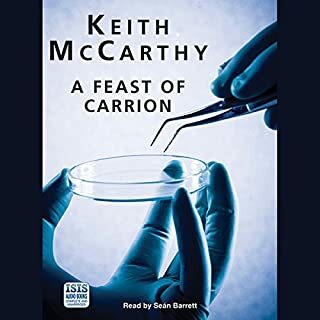 Sean Barrett's amazingly good interpretation helps enormously but quite possibly due to my own failings, I cannot say that listening will ever supplant the reading experience.Perhaps the technology could be improved for listeners? To simulate the scanning available to a reader, could more detail be accessible in the App? For example, could the page number or chapter heading still be visible in an adjustable size font? This would assist a listener to reread or check back on important details which become more important in complex scenarios such as the ones written by Nesbo? Place and character names or specific things people have said are easily checked by a reader but to a listener it is impossible to re- find. the ungraduated " page bar" at the top of the screen is a very clumsy, limited feature which exacerbates this problem.Nonetheless, please keep providing us with interesting, diverse choices in novels. Perhaps I am alone in thinking that I have no right to comment or interfere in the Author's art of creation? Again, I can only suggest that a technical aid in the App would help the listener to enjoy the story more. 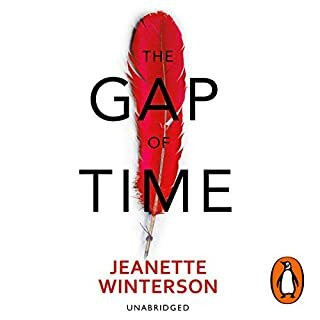 In a highly tense novel an easy to find VoiceOver button on the page perhaps to give details as to the chapter number you are up to, how many chapters there are in total and even a " bookmark" button where the reader can dictate a name, a connection or a clue perhaps? What I am describing is a hybrid to a kindle experience whilst remaining only an audible feature. Just a series of suggestions.. Certainly, yes. I seek out what I can find that is read by him, whilst still being within my listening interest range. He is an inspired voice actor who imparts a sustained, authentic experience even when he is up against a myriad of unusual pronunciations and various genders to represent. Most importantly, the readings are not " over produced." It has been painful to listen to other novels which are dramatised to such an extent that it is impossible to even attempt to suspend disbelief.A lifetime of being familiar with the reading genre suddenly being replaced by the listening genre needs all the talent a speaker, a producer and a poor old listener can muster.This reading is on a par with the very best available. There are many moving moments in this novel. 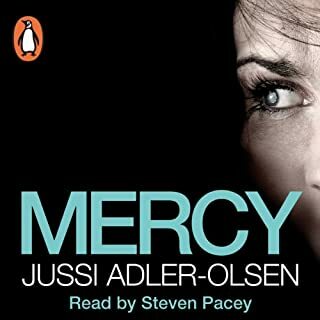 It would seem that Mr Nesbo has placed his main character Harry Høle in an existential, never ceasing loop of an overwhelmingly troubled life. Far more accomplished reviewers than myself have acknowledged that they actually called out in alarm at scenes where familiar, finely drawn characters we have been urged to admire suddenly face terrible danger. It would be a " spoiler" if one said more. After 8? 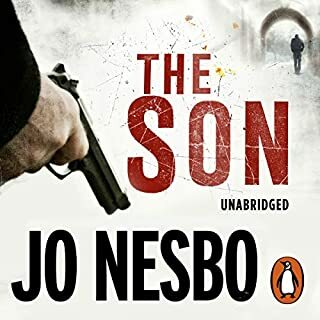 novels, Jo Nesbo remains a force to be reckoned with in the dramatic genre. His taut storytelling and unique style keeps the listener working very hard throughout the novel. I truly love that. The fact that a hugely caring human being is reflected in the writing is of enormous help to an engaged listener. 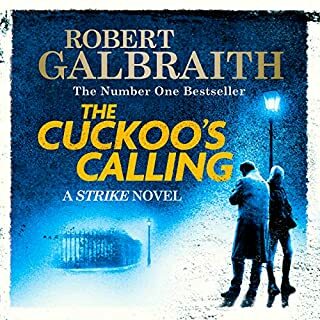 Even though there are texts which are less plot driven and richer with insight into a wider human existence, novels such as this one can offer an entertainment in the truest sense of the word.